I spend a lot of effort to seek out and expose dumb looking logos, even if what I'm seeing isn't there, but IAT's logo shows thought, creativity, and effort. 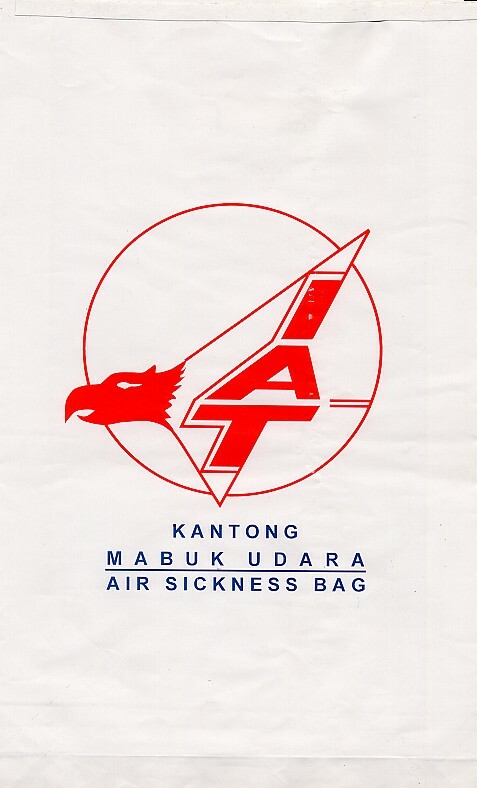 The eagle head and the company name all mesh together well within the framework of the airplane of which they are part. Nice work, nameless designer. 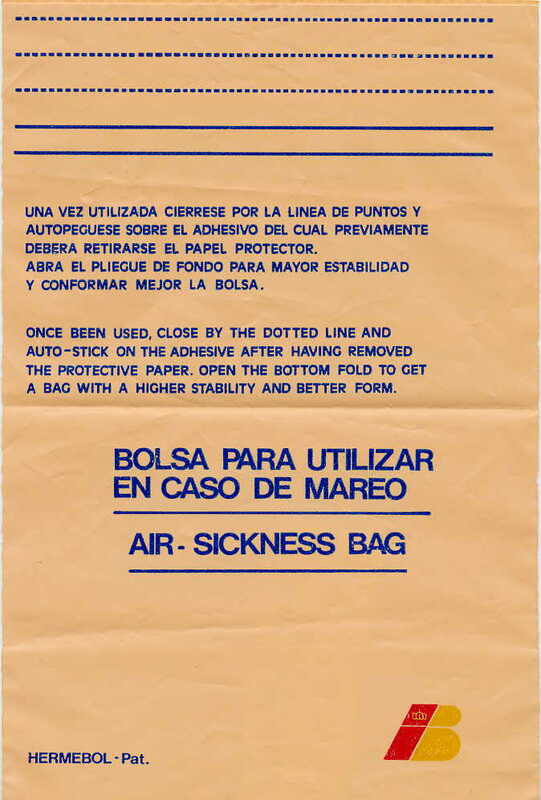 Wow, a huge monstrosity entirely in Spanish with lots of helpful instructions, such as "Y coloquese a un lade en el piso", which in English means "Have a colonoscopy on the side of the floor". Just a simple bag with a simple logo, the IB and a crown. Has a small red block on the back (not pictured). 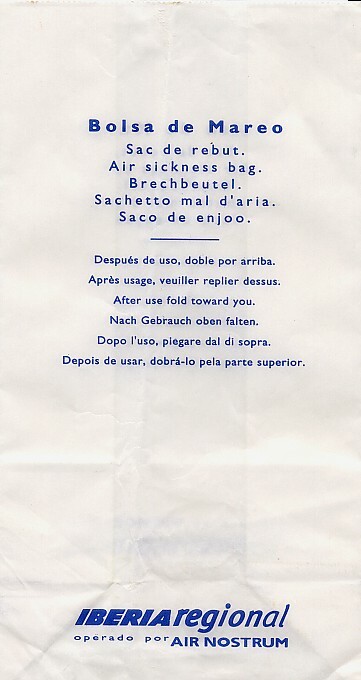 Finally, a "bag with a higher stability and better form"! I wonder who Pat Hermebol is? (I know, I know. Hermebol is a company that holds the patent). Probably not the best condition you'll find one of these bags in, but it does show the design. 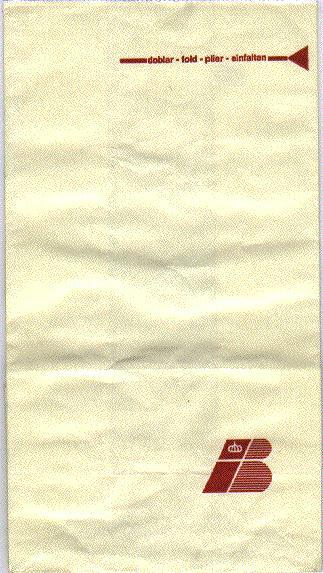 If you actually follow the bag's instructions, you'll find it extremely difficult to make that first fold, since it's so close to the top of the bag. 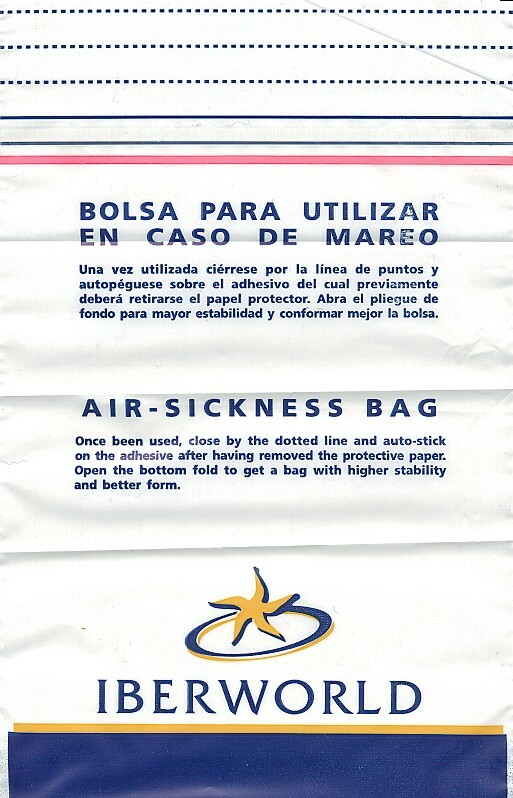 Same as every other Iberia bag, however the color was changed to white on navy. 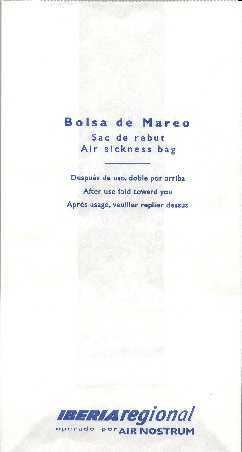 Although this costs slightly more to print, it prevents people from writing on the bag, thereby extending the life of said bag. Just a simple bag with a simple logo, the IB and a crown. 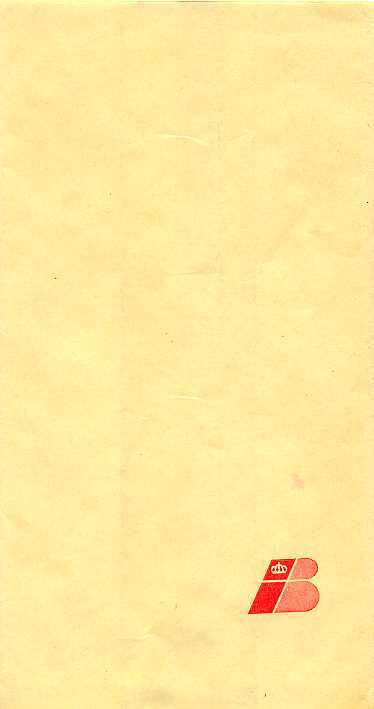 Identical to the one donated by L. Jay Labe, but that one has a small red block on the back, this one doesn't. 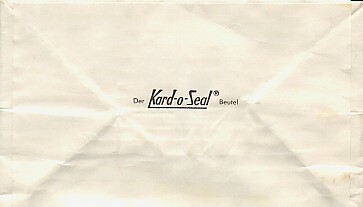 This is a quite old bag, probably from the early 70s. Has a halftone globe on it and no English whatsoever. 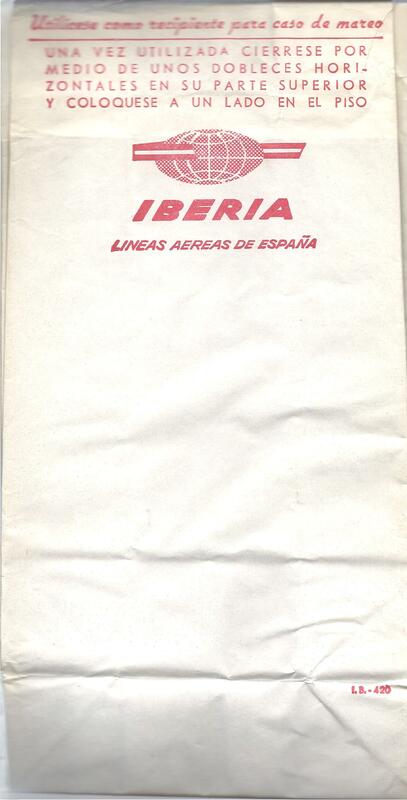 Identical to other Iberia 1995 bags, except has ACS Germany printed in the fold. 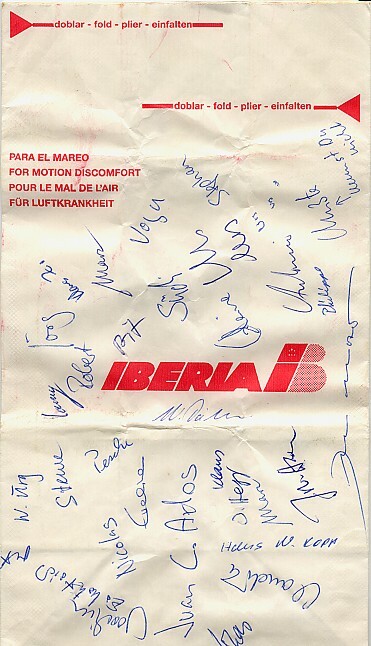 Identical to other Iberia 1995 bags, except has ACS printed in the fold. 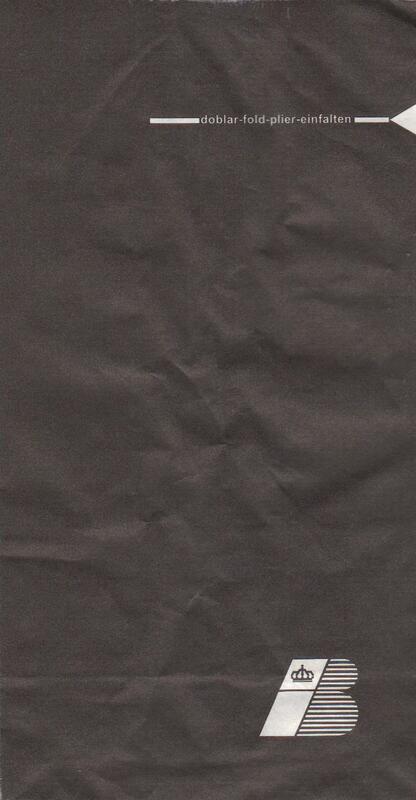 Very simple and distinguished with no images. 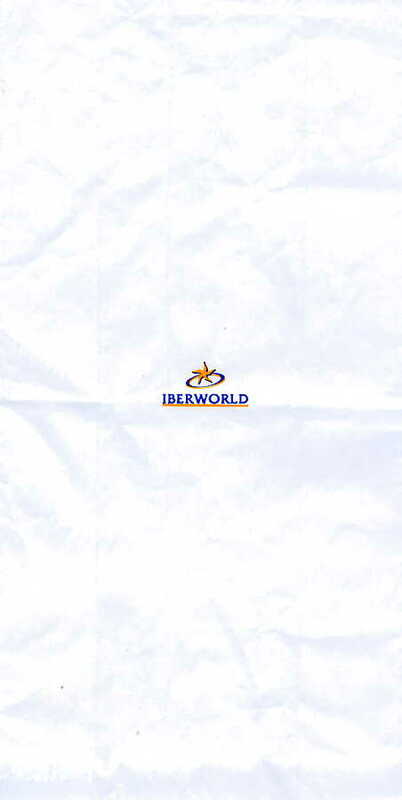 Added German, Italian, and Portuguese, demonstrating that Iberia Regional may soon be Iberia Global or International. 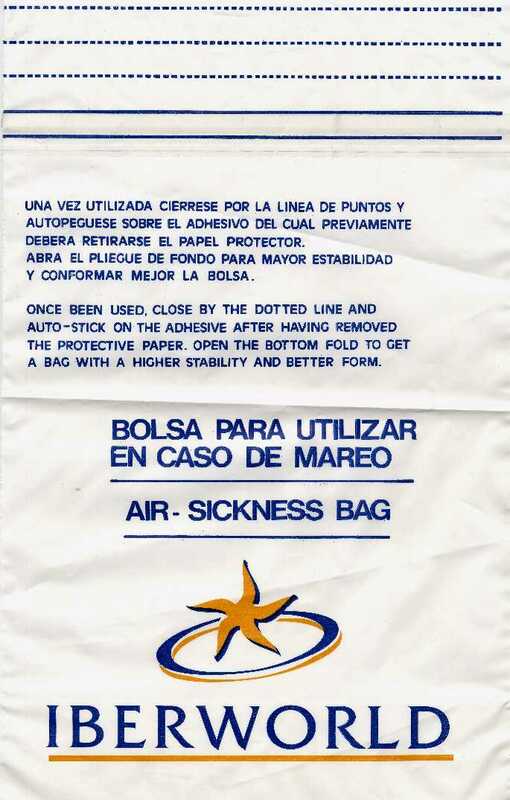 Sporting the 'Dancing Starfish playing Hula Hoop' logo, you just have to love the English translation on this bag. 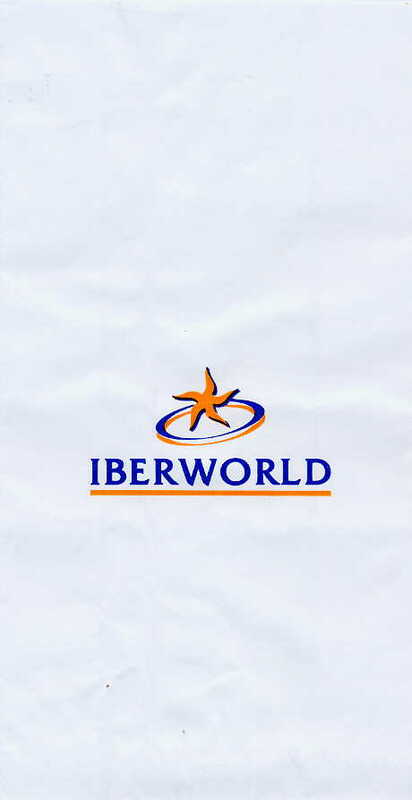 If you can figure out the 5 folding options, Iberworld solves the age-old problem of how to get a bag with 'better form'. The newer version still sports the 'Dancing Starfish playing Hula Hoop' logo, but they've rearranged the bag text, not to mention adding a blue stripe at the bottom of the bag. The English translation however, didn't seem to be a priority as it's still awful. The even newer version still sports the 'Dancing Starfish playing Hula Hoop' logo, but they've uncluttered the bag of instructions and got rid of any closing mechanism, as if that's somehow no longer a useful feature. 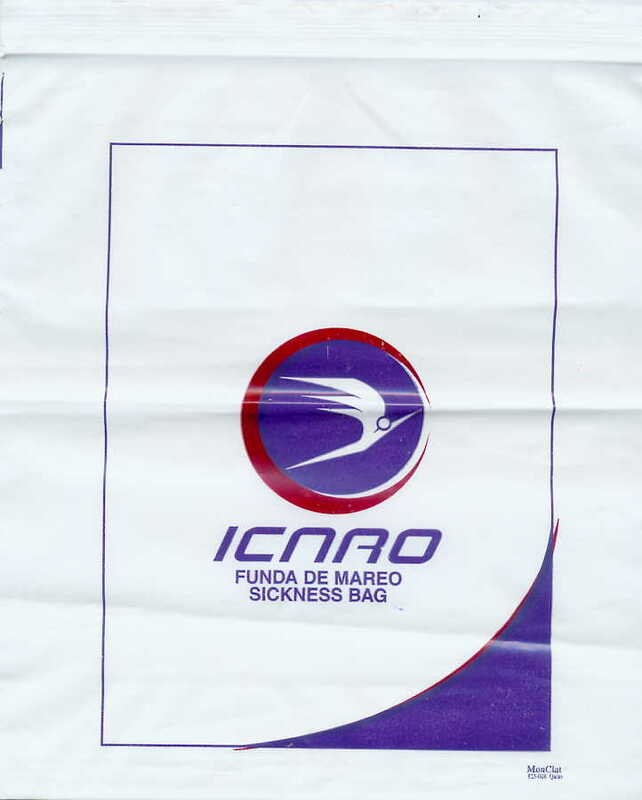 This bag features the smallest of dancing starfish logos. 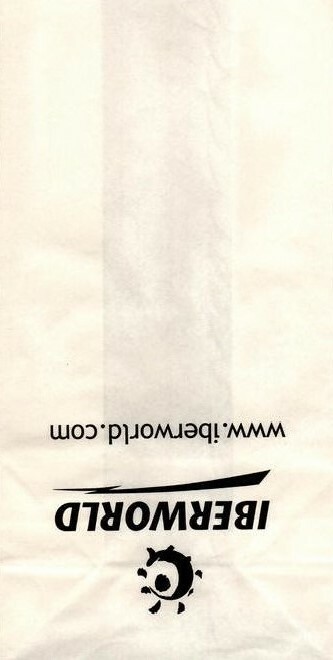 This bag is not only printed upside down, it also has a creepy eyeball on it. Balck on white makes it even more boring. 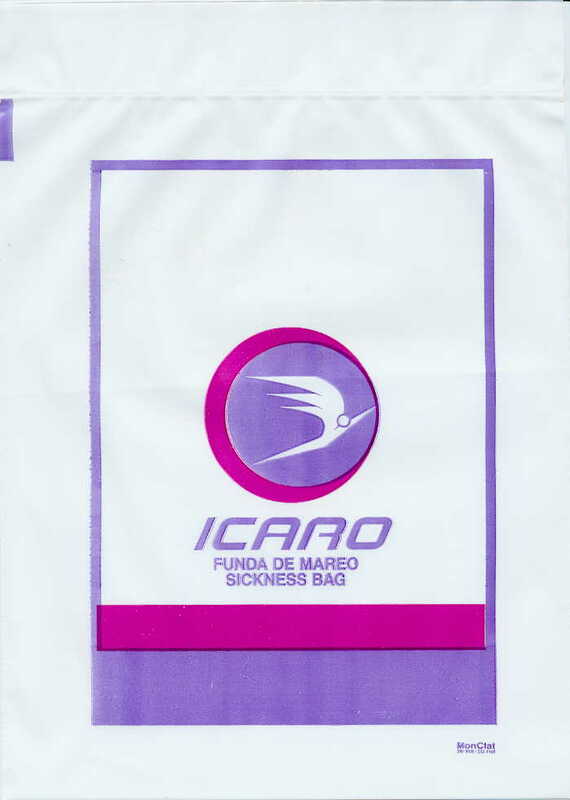 An excellent and sought after bag from Ecuador. Fredy always comes through with great bags. However, someone at Icaro just can't quite color inside the lines as the asymptotic lower right corner isn't quite as asymptotic as you might think. Much like the previous Icaro offering, but much more linear with the asymptotic curve notably absent.